(Via Global BC) Canada’s capital city, Ottawa, beat out five other nominees to be voted as the country’s most boring city in the annual “Boring Awards” ceremony held last Tuesday. Other cities nominated for the most boring title were: Laval (Quebec), Lethbridge (Alberta), Abbotsford (British Columbia), and Brampton (Ontario). Despite being the most boring, Ottawa is also the “richest” large city in Canada according to a 2010 study by Statistics Canada, which found that it had the highest median gross family income of the major metropolitan areas in the country. Lucrative jobs in and close to government provide the city with a steady source of consumer spending that supports a range of industries and helps it maintain an unemployment rate of 6.1 percent – below the 7.2 percent national average. 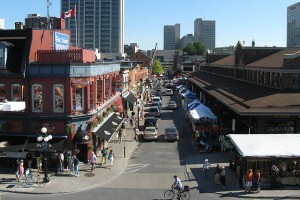 Combined with relatively affordable housing, the city was found to provide the best quality of life by the Money Sense ‘Canada’s Best Places to Live – 2012′ index.